When should goals be made explicit? This course is concerned with software engineering, and the diciplines associated with the field. It should give insights into processes and methods for development and quality assurance in and of software systems, and give a complete and deep understandig of how requirement, design and test engineering are related. Ultimate goal: Defined operational capabilities satisfy business and user needs. 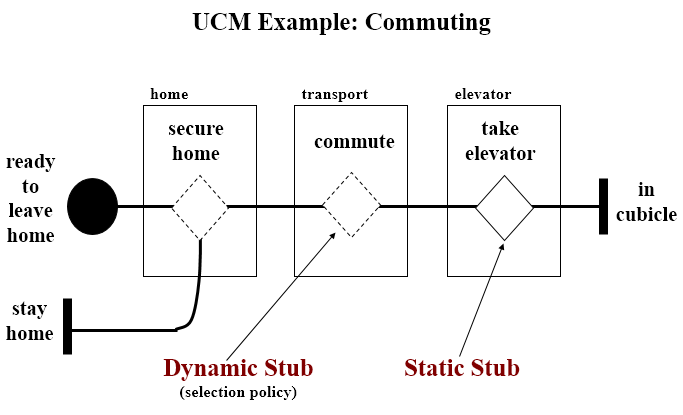 The process of discovering the requirements for a system by communication with stakeholders: customers, system users and others who have a stake in the system development. The requirement contains terms or statements that can be interpreted in different ways. The requirement item is not compatible with other requirement. Requirement items make use of a domain feature that is not yet defined. A requirement item where rationale or dependencies are hidden. A requirement that yields no information on problem world features. The needs of a prescribed system are fully covered by requirement items without any undesirable outcome. The problem to be solved is rooted in a complex organizational, technical, or physical world. The aim of a software project is to improve the world by building some machine expected to solve the problem. Problem world and machine solution each have their own phenomena while sharing others. The shared phenomena defines the interface through which the machine interacts with the world. Requirements engineering is concerned with the machine's effect on the surrounding world and the assumption we make about that world. State properties about the system that holds regardless of how the system behaves. E.g. if train doors are open, they are not closed. Statement scope: Phenomenon of train physically moving is owned by environment. It cannot be directly observed by software phenomenon. The phenomenon of train measured speed being non-null is shared by software and environment. It is measured by a speedometer in the environment and observed by the software. A prescriptive statement by the software-to-be. Example: All train doors shall always remain closed while the train is moving. Train controller being responsible for the safe control of doors. A prescriptive requirement enforced solely by the software-to-be. 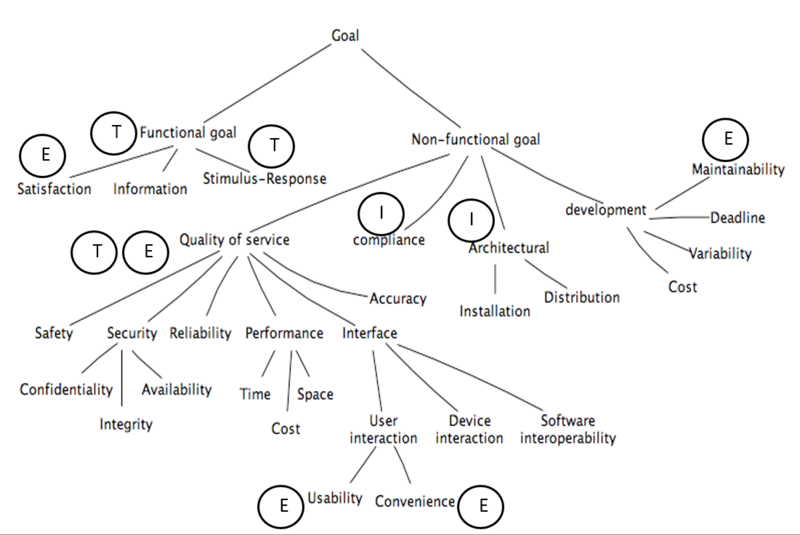 Formulated in terms of phenomena shared between the software and environment. The software "understand" or "sense" the environment through input data. Example: The doorState output variable shall always have the value 'closed' when the measuredSpeed input variable has a non-null value. Example: A train is moving if and only if its physical speed is non-null. Example case: We shall make software for a toll road gate. The system's transmitter sends a signal to an approaching car which returns the car-owner's id. The payment is invoiced to the car-owner. High-level (strategic): "Serve more passengers"
Low-level (technical): "Acceleration command delivered on time"
High-level goals often refer to both systems. A goal may in general require multiple agents to be achieved as opposed to a requirement. Sufficient completeness of a requirements specification; the specification is complete with respect to a set of goals if all the goals can be proved to be achieved from the specification. Requirements pertinence; a requirement is pertinent with respect to a set of goals if its specification is used in the proof of one goal at least. Goals can provide the rationale for requirements when explaining them to stakeholders. 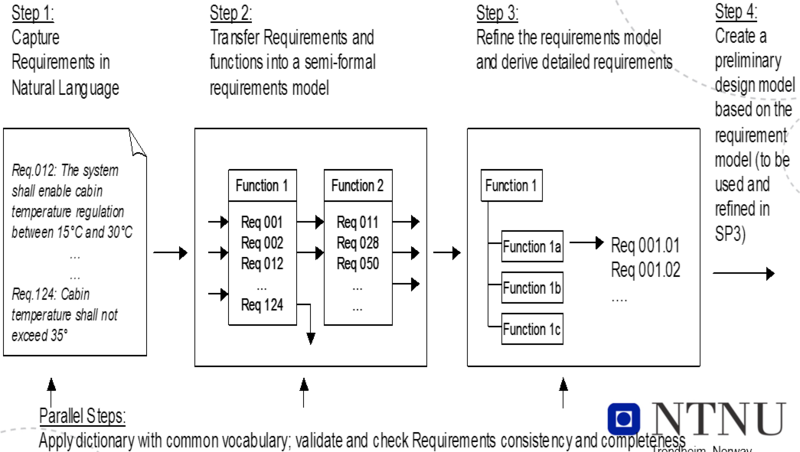 Goal refinement can be used to increase readability of complex requirements documents. Sometimes, goals are explicitly stated by stakeholders or in preliminary material. Most often they are implicit, which require that a goal elicitation has to be undertaken. First list of goals often come from the preliminary analysis of the current system, which can highlight problems and deficiencies quite precisely. Negating these deficiencies yields goals. Can also identify goals by searching preliminary material for intentional keywords. Many other goals can be identified by refinement and by abstraction, just by asking HOW and WHY questions about the goals/requirements already available. The sooner the better, although not in a waterfall-like process. Can also come late. Generally modelled by intrinsic features (type, attributes etc.) and their links to other goals. 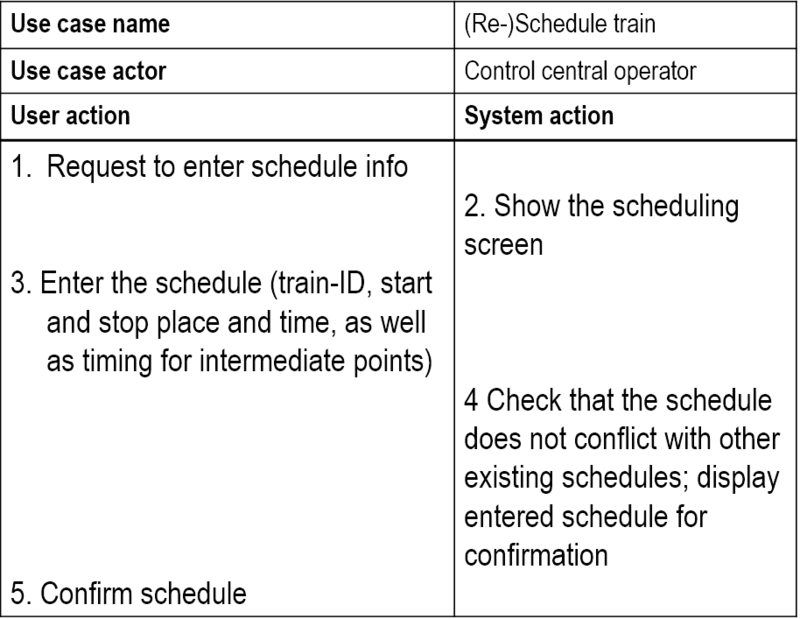 Example: _The on-board controller shall update the train's acceleration to the commanded one immediately on receipt of an acceleration command from the station computer. We also have performance goals, security goals, which both can be even more specialized. OR-refinement links: Relates a goal to an alternative set of refinements. Satisfying one of the refinements is sufficient for satisfying the parent goal. Conflict links: Between two goals that may prevent each other from being satisfied. Must be specified precisely. Semi-formal specifications generally declare goals in terms of their type, attributes, and links. May be provided using textual or graphical syntax. This basic set can be extended with qualative verbs, such as improve, increase, reduce, make etc. 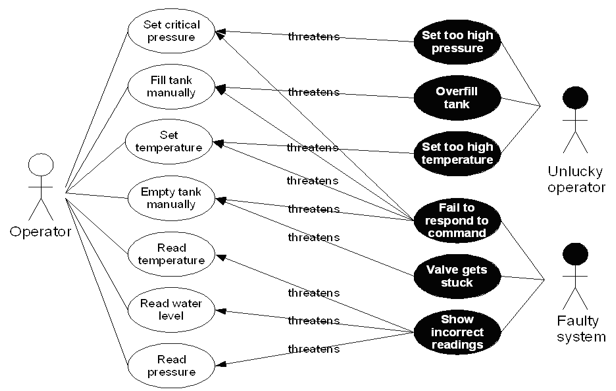 A mechanism for structuring complex specifications at different levels of concern. A goal can be refined in a set of sub-goals that jointly contribute to it. Each sub-goal is refined into finer-grained goals until we reach a requirement on the software and expectation (assumption) on the environment. NB: Requirements on software are associated with a single agent and they are testable. Given the amount and complexity of RE, we need to automate as much as possible. Good at observing quantitative data and being deductive, fast and precise. Good at repetitive work. Bad at handling variations in written material and pattern recognition. Humans are opposite, as well as good at doing error correction. GNL and BPs will reduce variation and thus giving the machines the opportunity to do what they are best at: to be fast, precise and consistent. By combining humans and machines and let both do what they do best, we get better results. Free text requirement elicitation with the assistance of prescribed words from a dictionary. Gives us consistent requirements, reducing misunderstandings. Bridge the gap between unconstrained expression and quality checking when representing requirements as free text. Quality measures: Correctness, consistency, completeness and un-ambiguity. Provide the basis for semantic processing and checking of requirements. Lack of common understanding, make free text requirements prone to ambiguous representations and incosistencies. Templates introduces some limitations, but reduces possibility of ambiguities and incosistencies. Select a boilerplate or a sequence of boilerplates, based on attributes that need to be included and how they are organized -- fixed terms. Requirement: The driver shall be able to start the ACC system. Traces have to be identified and recorded among numerous, hetrogeneous entity instances (document, models, code, etc.). It is challenging to create meaningful relationships in such a complex context. Traces are in a constant state of flux, since they may change whenever requirements or other development artefacts change. 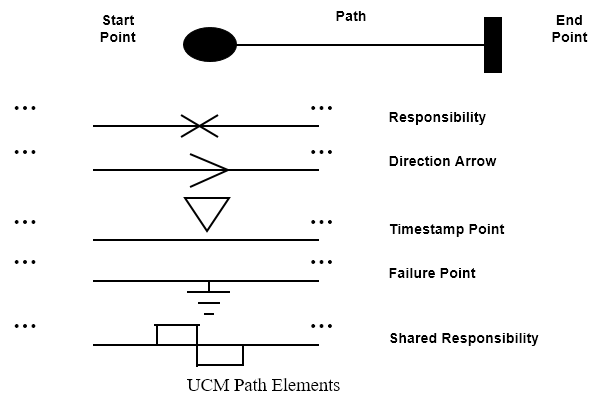 Incomplete trace information is a reality due to complex trace acquisition and maintenance. Define what type of artifacts should be traced. Define what type of relations could be established between these artifacts. The critical task of traceability is to establish links between requirements and other requirements, as well as between requirements and artifacts. It's time consuming and error prone to that manually, so we focus on semi-automatic link generation. 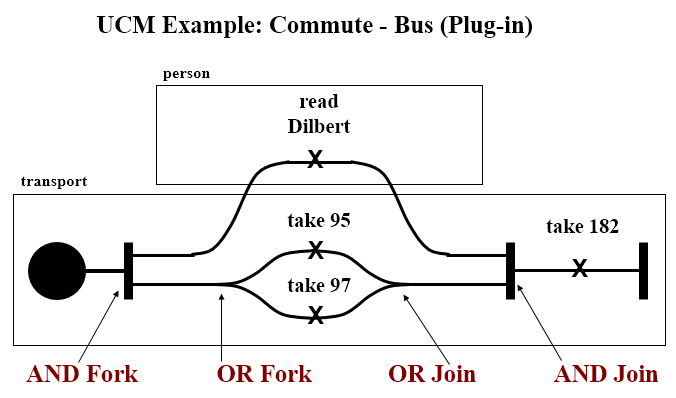 Requirements that are not related due to no not matching execution paths may be related due to e.g. calling, data dependencies implementation pattern similarity. The capability of the software product to enable modified software to be validated. In order to be testable, a requirement needs to be stated in a precise way. Sometimes this is in place right from the start: When the ACC system is turned on, the "Active" light on the dashboard shall be turned on. Sometimes the requirement has to be changed: The system shall be easy to use. Executing a test. Give input, observe and check output. Tests. Input/output. Involves the computer system and peripherals. Experiments. Input/output but involves the user as well. Inspections. Evaluation based on documents. Requires access to the system's end users. In case of a1, we are finished, in case of a2, repeat Q. for all non-testable sub-requirements. Requirement: Reverse thrust may only be used, when the airplane is landed. "How do you define landed?" Who should you ask - pilots, airplane construction engineers, airplane designers? The customer needs to know what and why he wants something. The why-part is unfortunetaly not often stated as part of a requirement. Complete, i.e. has all possible situations been covered? Seek to combine the strengths of written and verbal communication, where possible supported by a picture. They are concise, written descriptions of a piece of functionality that will be valuable to a user (or owner) of the software. A user story is not a contract. It is not a detailed specification. It is a reminder of features for the team to discuss and collaborate to clarify the details near the time of development. User stories should be valuable to the user (or owner) of the solution. They should be written in user language. They should be features, not tasks. User stories need to be possible to estimate. They need to provide enough information to estimate, without being too detailed. User stories should be small. Not too small and not too big. User stories need to be worded in a way that is testable, i.e. not too subjective and to provide clear details of how the user story will be tested. Active user involvement can be demanding on the user representative's time and require commitment for the duration of the project. Iterations can be a substantial overhead if the deployment costs are large. This can mean less information available to new startes in the team about features and how they should work. Usually not suitable for projects with high developer turnover or a long-term maintenance contract. Aims to identify possible misuse scenarios of the system. Describes the steps of performing a malicious act against a system. Mostly used to capture security and safety requirements. Identify threats -- e.g. 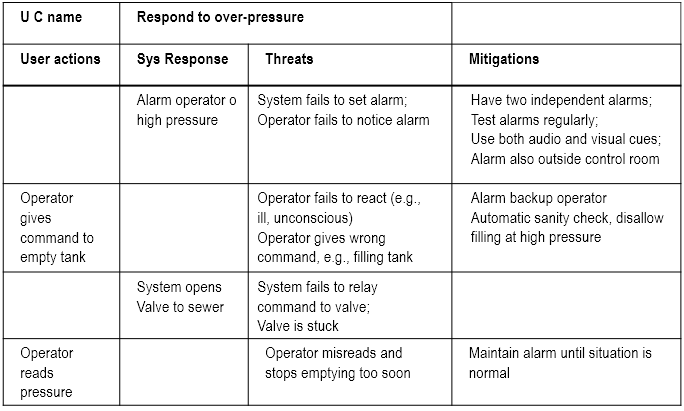 "system fails to set alarm"
Identify new tests -- e.g. but can get large and complex, especially the misuse case diagrams. 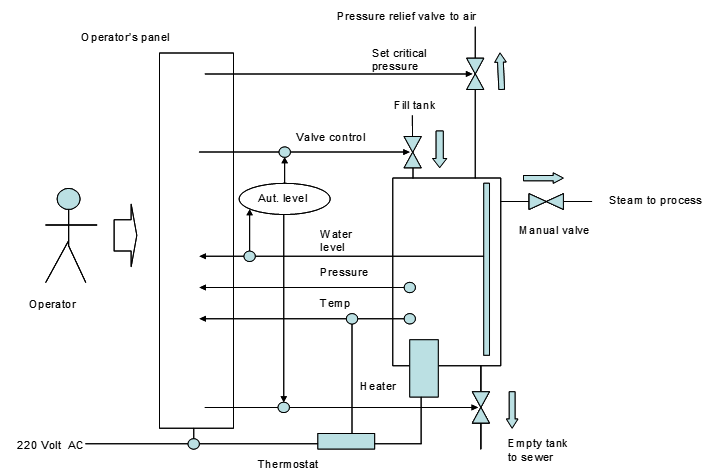 Visual representation of the requirements of a system, using a precisely defined set of symbols for responsibilities, system components and sequences. 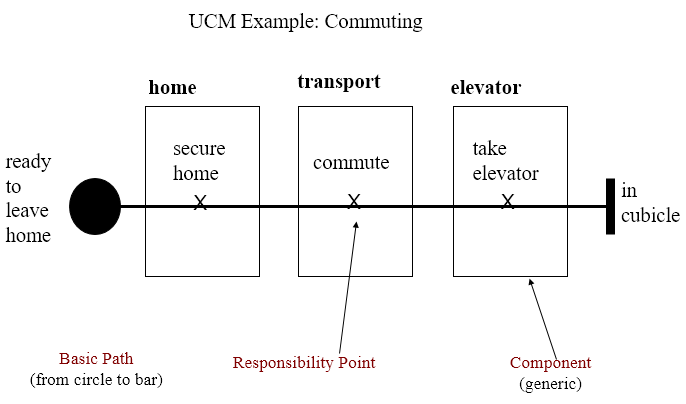 Architectural entities that describe causal relationships between responsibilities, which are bound to underlying organizational structures of abstract components. They are intended to bridge the gap between requirements (use cases) and detailed design. Unquantifiable and untestable attributes (e.g. 'the system shall be secure agains intrusion') are made testable and quantifiable by refinement (e.g. 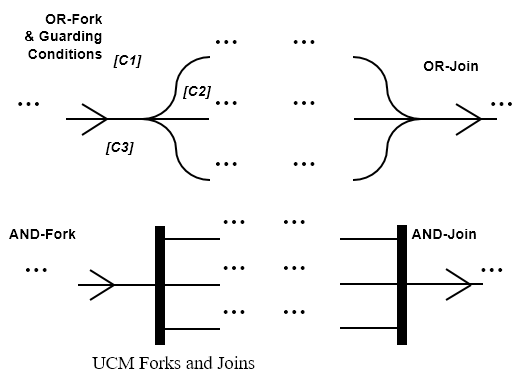 by stating how many intrusions are allowed in a certain amount of time as well as the amount of effort that was required to make the first intrusion). There are huge differences in success rates of software inspection. The paper which is basis for this part focuses on how to learn to repeat successful inspections, whils learning to avoid unsuccessful inspections' failures. Three experiments run in the same way: 120 student were given code with seeded defects. If nobody found the defect during individual inspection, there was a 10% probability that the group would find it. If one person found the defect, there was a 50% probability that it would be reported after the group meeting. If more than two persons found the defect, the probability of reporting rose to between 80% and 95%. This happened not only when the group voted, but also happened due to group pressure. Numbers tell that there is a 53% probability of process loss by using inspection meetings as opposed to only a 30% probability of process gain. This leads to the question why are are already identified defects removed, and why are so few new ones found? Answer: Voting process or group pressure. Experiment 1 Concerned with group size and use of checklists. Run with 20 students, two phases: Individual inspection and group inspection. Half of the group used a tailor-made checklist, half used an ad-hoc approach. The code was 130 lines of Java, with 13 seeded defects. Group meetings were done in different sizes, 2, 3 and 5 participants. By comparing the groups with 2 and 5, together with whether they used checklists or not, it was found that the groupsize effect was the only influential effect on success rate. Both checklist effect and checklist-group size interaction effect were negligable. Careful on conclusion, as few participants. Experiment 2 Focuses on the influence of experience and the effect on three common types of defects - wrong code, missing code and extra code. Only individual inspections, with a supplied checklist. As observed in experiment 1, this has a beneficial effect on small groups. 21 persons with high experience (PhD students), 21 persons with low experience (third and fourth year students). Surprise: Those with low experience found in total more defects (5.5 vs 5.1). The difference, however, is not significant. Closer look shows that low experience group had more recent hands-on experience in writing and debugging Java code. High experience group focused more on the overall functionality, and did not really read all the code. Thus, they missed simple, but low level defects like missing keywords. Defects that had no relations to the checklist, or were described late in the checklist, were harder to find (fatigue effect). If a test criterion has finite applicability, it can be satisfied by a finite test set. Generally, test criteria are not finitely applicable. Main reason = possibility of "dead code". By relating test coverage criteria only to feasible code, we make them finitely applicable. Thus henceforth, all branches = all feasible branches, and all code = all feasible code. Statement Coverage The simplest coverage measure. Branch Coverage Tells us how many of the possible paths has been tested. Basis Path Coverage The smallest set of paths that can be combined to create every other path through the code. Size = v(G) - McCabe's cyclomatic number. Have we reached our acceptance criteria - e.g. 95%? No - Write more tests. Can we find out what has not been tested yet? One way to get around the problem of fault seeding is to use whatever errors found in a capture-recapture model. If option two happens, we know which part of the code have not yet been tested. In most cases requirements based. Same type of problem as for output coverage - the level of details considered. Fits best if there exists a detailed specification, e.g. as a set of textual use cases. Testing done to check that a system update does not reintroduce errors that have been corrected earlier. Checking. Leaving the checking to developers will not work. Same challenge as other automatic testing: Which parts of each output should be checked against the oracle? Good solution: Parameterize the result. Use a tool to extract relevant info from the output file, and compare it with the info stored in the oracle. Similar to doing a requirements analysis. The analyst tries to foster agreement about the system to be built, the tester exploits disagreements to predict problems with the system. In some sense, we repeat the requirements process, but with other people involved. 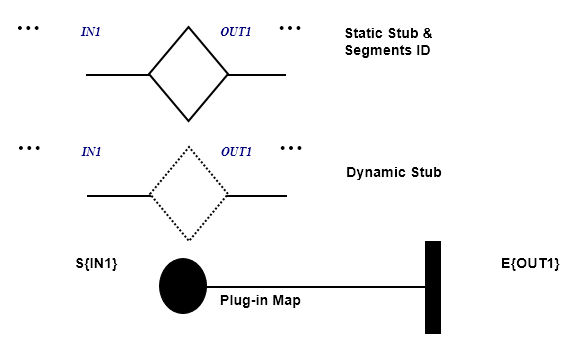 Scenarios used as to define input/output sequences. Similar to requirements elicitation. List system events. How does the system handle them? List special events. What accomodations does the system make for these? Create a real-life story that combines all of the elements into a test case narrative. The prospective users - those who will later use the system. For each identified user, identify his interests. A user will value the system if it furthers his interests. Focus on one interest at a time. Identify the user's objectives. Any occurrence that the system is supposed to respond to. Events that are predictable but unusual, and require special handling. What are the benefits the system is supposed to provide to the users? Not good for testing new code, as we have to postpone the rest of a failed test until after the bug is fixed. Testing where we use the info available from the code of the component to generate tests. Usually used to achieve coverage in one way or another -- e.g. Best choice for unit testing and debugging (which is always white box). v(G) = the minimum number of paths through the code. Technique to achieve full path coverage, but will often lead to over-testing. Functional testing, best choice for system tests, regression tests and acceptance tests. Testing done with limited knowledge of the internals of the system. Access to detailed design documentation with information beyond requirements documents. Tests are generated based on information such as state-based models or architecture diagrams of the target system. Useful for integration tests, best choice for state-based tests. Test is done when all of X new mutants are discovered by the current test suite. Last updated: Wed, 1 Jun 2016 18:53:20 +0200 .